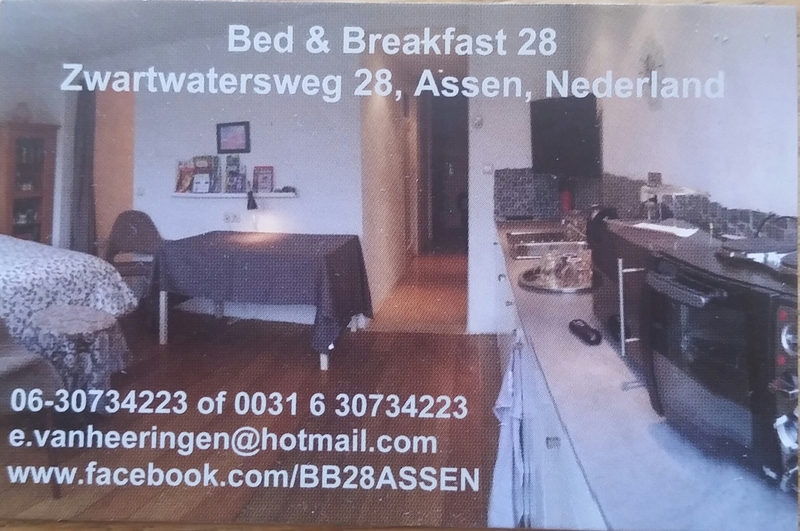 Situated a 15-minute walk from city centre of Assen, Bed and breakfast 28 offers spacious accommodation with a private garden and free WiFi. Train station Assen is 2 kilometres from the property. The 3-bedroom apartment offers a bathroom with a bathtub and shower. The well-equipped kitchen includes an oven, microwave, refrigerator and tea/coffee making facilities. Breakfast is served daily in the B&B or in the garden when the weather is nice, and includes eggs that are from their own chickens. In the summer guests can also make use of the BBQ set. Drenthe Museum is 1.5 kilometres away and TT-Hall is 10 minutes' drive from the property. Children's playground Ballorig is 1 kilometre. Asserbos is an 8-minute drive. Motorway A28 is a 6-minute drive. Groningen city centre is 20 minutes away by car.